Cochranville, Jennersville, Kelton, New London, and Lincoln University areas, ranging from $250,000 to $449,000, as featured on realtor.com. 1. 142 Owenwood Drive ($379,900) - Welcome to this gorgeous colonial home nestled on a 3.2-acre wooded lot and has been completely renovated. Enter into the foyer with cathedral ceiling, beautiful Palladian window, crystal chandelier, gorgeous hardwood floors with walk in coat closet with hardwood floors and window. Enter the formal living room with pillars, crystal chandelier and sconces, plenty of windows and glass pocket doors to the formal dining room with French doors. Kitchen offers beautiful 42-inch dark cherry cabinets, granite countertops and granite island, recessed lighting, hardwood floors and breakfast area with wall of windows overlooking wooded backyard. Family room offers wood burning fireplace and French doors to back deck. Also located on the main level is an office/fifth bedroom, full bath, laundry room and three-car garage. The upper level offers the master bedroom with pillars, walk in closet and master bathroom with whirlpool tub, shower and double sinks. Also additional three bedrooms and hall bath located on this floor. Full walk out basement is ready to be finished with rough-in plumbing already installed for a future bathroom. Built in 1998. 2. 36 Pickwick Lane ($300,000) - You must see this four bedroom, 2.1 bathroom, two-story home in popular Canterbury. Highlights include a new electric hot water heater as well as new well and pool pumps. Enter the center hall with hardwood floors, formal living room, formal dining room with chair rail, eat-in kitchen with ceramic tile flooring, island, raised panel cabinets, pantry, and breakfast nook with bead board, spacious family room with gas fireplace, a powder room, laundry, two-car garage and deck access complete the first level of this home. The second floor includes a spacious master bedroom suite with sitting room, walk in closet and master bath with tub/shower, three additional bedrooms and a full hall bath complete this floor. Step outside to the huge deck with screened in area that's perfect for entertaining. Walk down to the beautiful in-ground pool with screened in Cabana and relax in your own backyard vacation spot. Built in 1999. 3. 371 Little Elk Creek Road ($250,000) - Welcome home to this beautiful, move-in ready five bedroom 2.5 bath cape on 1.7 acres in Lincoln University. Privacy abounds as this home sits off the main road in a magnificent country setting with mature trees and plush landscaping. As you enter the home, you will notice the custom woodwork throughout the home that includes hardwood Brazilian Cherry floors, Wainscoting, built-in shelving, cabinets and more. The first floor boasts a living room with built-in cabinets, surround sound system, and lighted tray ceiling. Like to cook? The open spacious eat-in kitchen has plenty of counter space for your culinary creations. Escape to the master bedroom suite with walk-in closet and full bath on the main floor. Rounding off the first floor is another bedroom, a powder room, and a conveniently placed laundry area. Upstairs you will find three spacious bedrooms that share a hall bath. Built-in bookshelves and desk in the hallway make for a great study area. Bonus storage space abounds with the three knee wall closets located on this level. Downstairs the space continues in the finished basement with walkout and Superior Walls. You will find an office with an amazing view, a family/rec room, a spacious bonus room and a workroom/utility area. There also is an unfinished basement bathroom that is plumbed and ready to go if you need another bathroom onsite. Get back to nature in the backyard as the lot backs up to woods with trails that lead to the Big Elk Creek which is stocked each Spring with trout. Invite friends and family to enjoy a bonfire at the large natural firepit, play catch in the open side yard, or just enjoy a quiet evening on the back deck. Store your lawn equipment in the shed or holiday decorations in the attic over the garage. Built in 1996. 4. 141 Millhouse Drive ($409,900) - Beautiful Woodale model in the desirable neighborhood of Wheatland Farms, move in ready. Relax on the beautiful wrap around front porch and enjoy a morning cup of coffee and watch the beautiful sunset in the evenings. This property has a private fenced backyard with deck and newly installed patio overlooking 100 acres of open space, raised garden boxes and landscaping. It doesn't get any better than that. 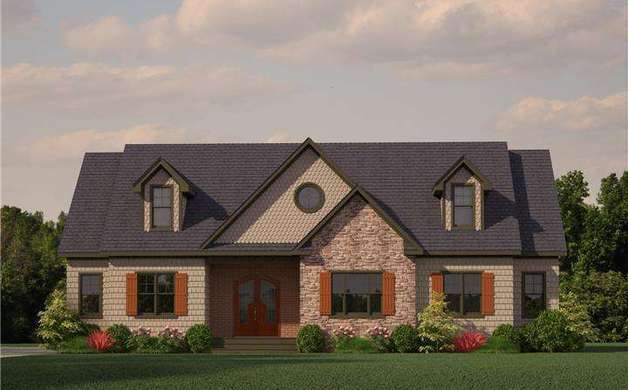 When you enter your new home you will find beautiful hardwood floors throughout first floor living area, large living room and dining room and private office. The spacious kitchen has the additional breakfast sun room, stainless steel appliances, granite counter tops and a two tier breakfast bar. You have a wonderful flow into the family/great room making this home perfect for entertaining family and friends. Four bedrooms on the second floor complete this home, the master bedroom has vaulted ceiling, the master bathroom has double sinks and a custom walk in tiled shower. The basement is partially finished with a workroom, full walk out with double doors and large window ready for you to put on your finishing touches. Built in 2011, the home features a two-car garage. 5. 15 Bramble Lane ($364,900) - This fine home is situated on a premium picturesque lot. Upon entering the open foyer with site-finished hardwoods, you'll know this home is special. Hardwoods extend through entire first floor & most of the second floor. Large windows allow plenty of sunlight in all rooms. Foyer with turned staircase opens to large office and formal living room. From living room, wood pillars open to dining room with wonderful backyard views. Large kitchen with 42-inch white cabinets opens to family room with vaulted ceiling, fireplace and back staircase. Upstairs there are four generously sized bedrooms, a nursery room off the master bedroom and two baths. Both baths have double vanities. The views are stellar from all windows and especially nice from the large deck off the family room. Walkout basement affords even more opportunity for the new owners. All this in a well located home, with 2x6 construction, very reasonable utilities (natural gas) and reasonable taxes as well. 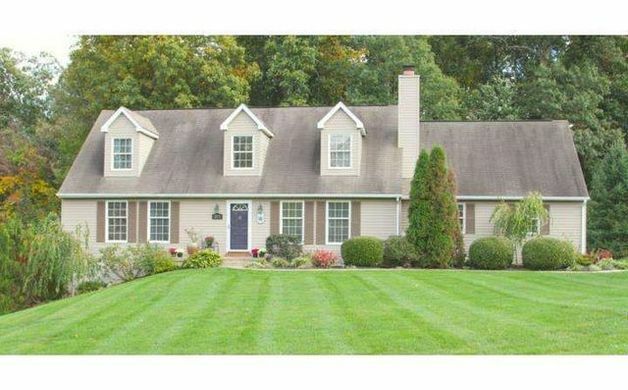 Home represents a truly good value in Avon Grove School district. Built in 2001, the colonial house has a two-car garage. 6. 226 Larchmont Lane ($336,500) - Lovely four-bedroom, 2.1-bath Colonial located in the Estates of London Brooke. This home has fresh paint and new flooring throughout. 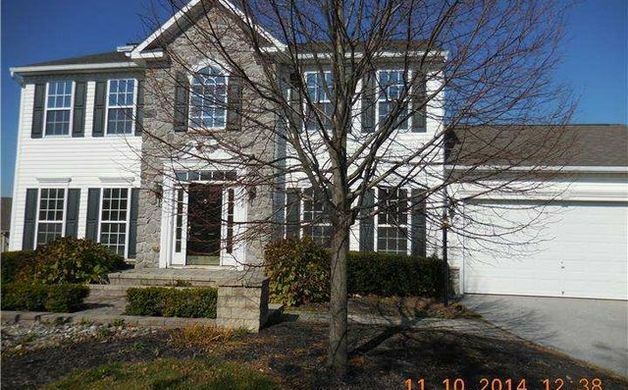 With open concept floor plan and warm neutral d cor, this home is move-in ready. Formal living room, formal dining room, and kitchen with a sunny breakfast room opening to family room with a stone fireplace. Office or den complete the first floor. Upstairs, the master bedroom has a walk-in closet and private four-piece bath, three additional bedrooms and hall bath. Full unfinished basement with a walk-out egress for convenience. Nicely landscaped corner lot, large rear deck and public water and sewer complete this home. Corporate owned; Corporate addenda required; No sellers disclosure; Inspections for informational purposes only; Buyer pays all transfer tax; Buyer responsible for U&O and any required repairs; Buyer to obtain resale cert and HOA documents. Built in 2004, the house has a two-car garage. 7. 132 Chet Drive ($394,900) - First floor master. Now is the time to build what you want. $10,000 incentive for first three contracts signed; we have two lots spoken for. No lot premiums until 2015. Nine-foot first floor. Customize this HiPerformance, Woodside model to suit your needs and save your energy dollars. 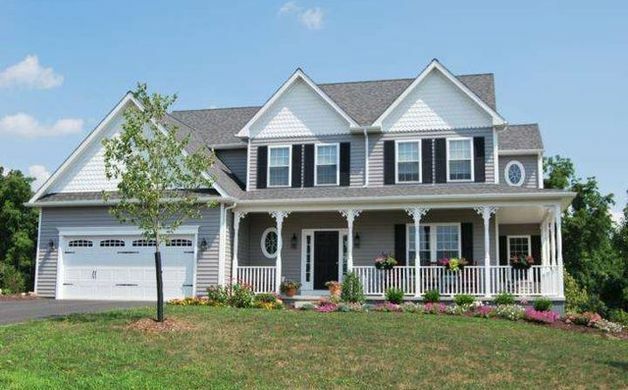 Londonderry Meadows, a Green Robin Homes community, is nestled in the beautiful landscapes of Southern Chester County, Pennsylvania. Conveniently located minutes from Route 1. Offering excellence in certified green construction, luxurious upgrades and beautiful country ambiance. Bucolic 1+ acre lot with generous open space, convenient to all points. Certified Green, Energy-Saving New Construction. Highly flexible designs. R 49 ceiling, R 30 floor, R 22 walls. 9' Superior Wall Foundations, a green certified foundation, provides R-12.5 insulation while allowing you to create that dream, finished basement with great comfort. Go "deeper green" with solar, geo-thermal features, green selections such as carpeting, counters, and paints. Many floor plans available or go totally custom. Keep the craftsman elevation or go colonial. Built 4 Living Hi-Performance Design Portfolio with "accessible" designs available. Public water. Builder is licensed PA realtor. Photos show some available custom features. New construction. 8. 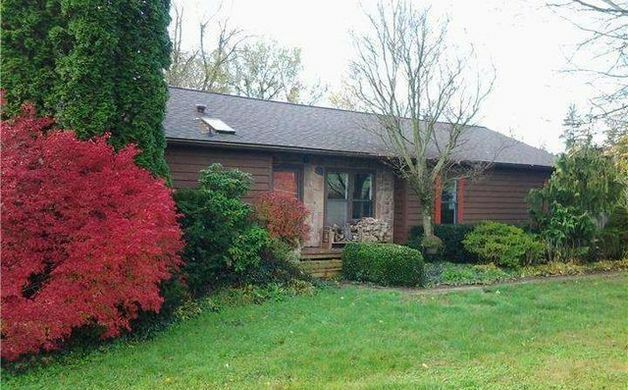 858 Glenville Road ($319,900) - Sitting on 10 scenic acres of sloping meadows, spring fed streams with small pond and gazebo. This property could be adapted for horses. Enter to the living room featuring a brick fireplace, random with pine floors, built-in bookcases and an attractive turned staircase. The formal dining room has access to outdoor porch. Kitchen is a newer addition, age unknown, with beautiful views. Finished basement has a walk-in stone fireplace, full bath and laundry with exterior egress. Attractive front porch entry, whole house replacement windows and circle drive. Stone bank barn ruins add character to this lovely property along with many nice trees and plantings. Corporate owned; Corporate addenda required; No sellers Disclosure; Buyers pays all transfer tax; Buyer responsible for U&O and any required repairs. This is a Fannie Mae HomePath property. Built in 1770. 9. 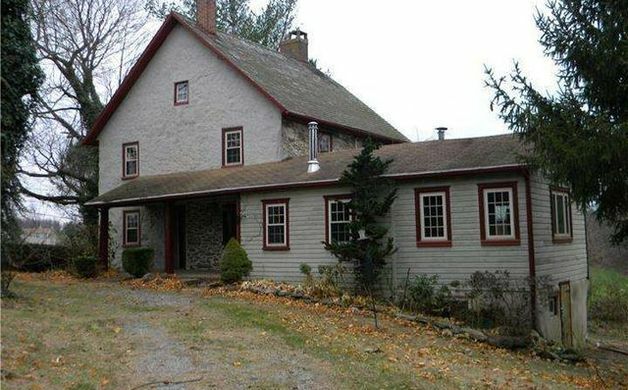 4469 Newark Road ($449,000) - Bring your horses to this lovely 10+ acre retreat. Very large 10 stall barn with tack room, hot/cold water wash bay, and full height loft for ample storage. Four large pastures (three with sheds) cover the bulk of the property, along with one smaller one (currently used as a riding area), and a grass round pen for quarantine or lay up. In addition to the grass riding area, there is a very well constructed round pen with rubber footing and a light. 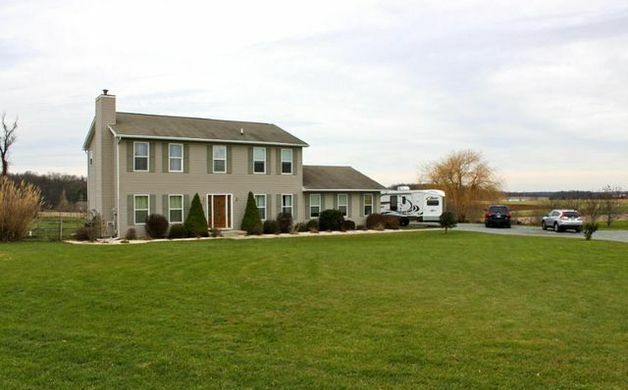 When you are tired of the ring, ride out straight from the property for hours of direct access to beautiful Chester and Lancaster county country side. New fencing has been added throughout the farm and a brand new concrete manure pit was recently installed. The charming three bed / two bath house sits back far off the road and boasts an extra large rear deck to relax and enjoy the vistas. Many improvements to the house and property. Built in 1992. 10. 15 Kri Del Lane ($320,000) - Rural living at its finest. 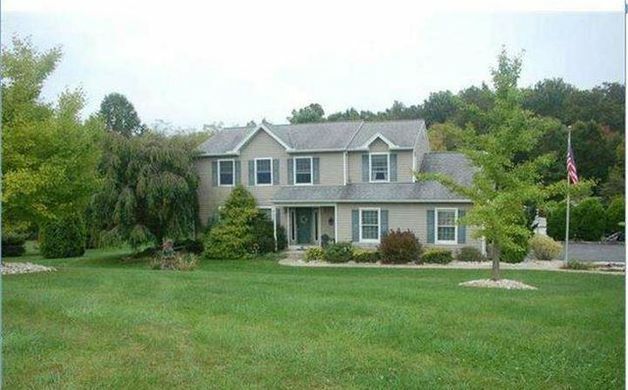 2.7 acres, gorgeous custom kitchen with tons of amenities, in-law suite w/separate entrance, all backing up to Amish farms. Brand new furnace, A/C, carpet and paint. 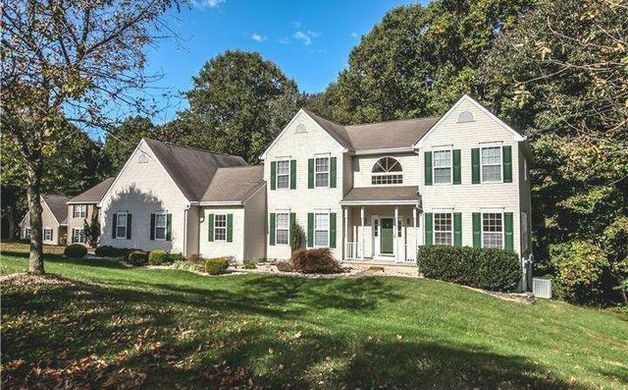 Built in 2000, this colonial has five bedrooms and three and a half bathrooms.